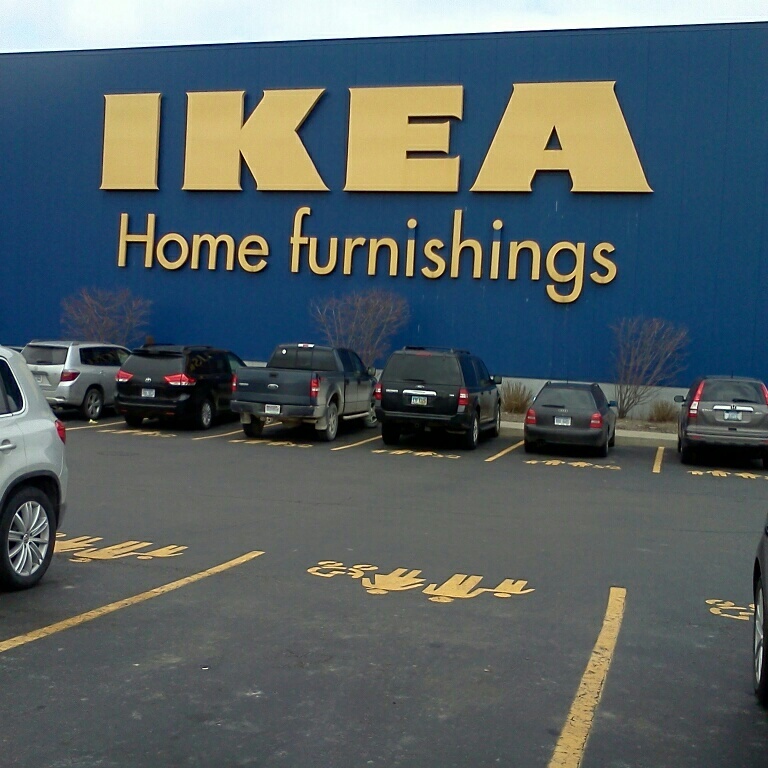 I have an IKEA about 45 minutes away, but I do not get there very often. Today I was in the area and had the opportunity to go. 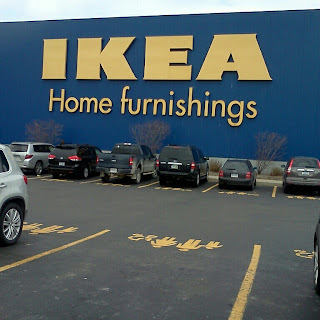 I probably should have realized that was not a good idea on a Saturday, with a preteen who kept asking to leave. She survived, and even got a few things. You will have to excuse the photos, they were taken on my phone, and it was so crowded I did not always get great picture taking angles. I forgot what this is called, but I have been wanting one for a while. 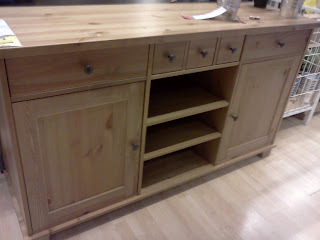 I think it would be a great addition to our kitchen/eating area. 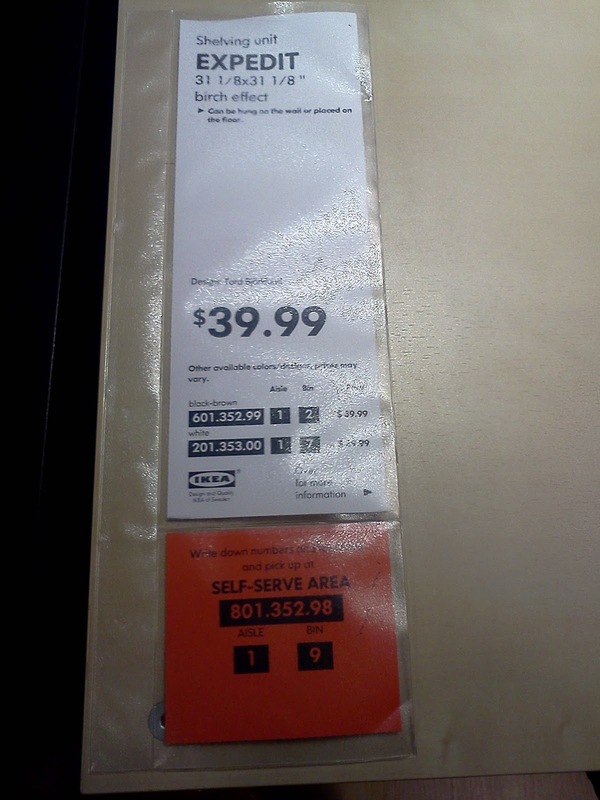 I might have to dream a bit longer since $299 is not in the budget at the moment. I would also love to have this in out family room. Look at all that storage for DVDs and Video Games! Right now our family room holds several mix matched storage cabints. 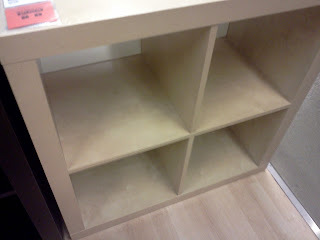 but to stay on budget, I might need to use small Expedit shelves. 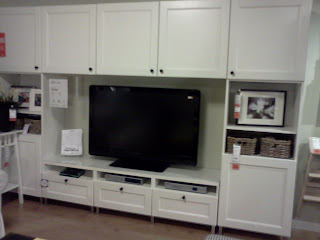 I would also love to have this in the basement or craft room. 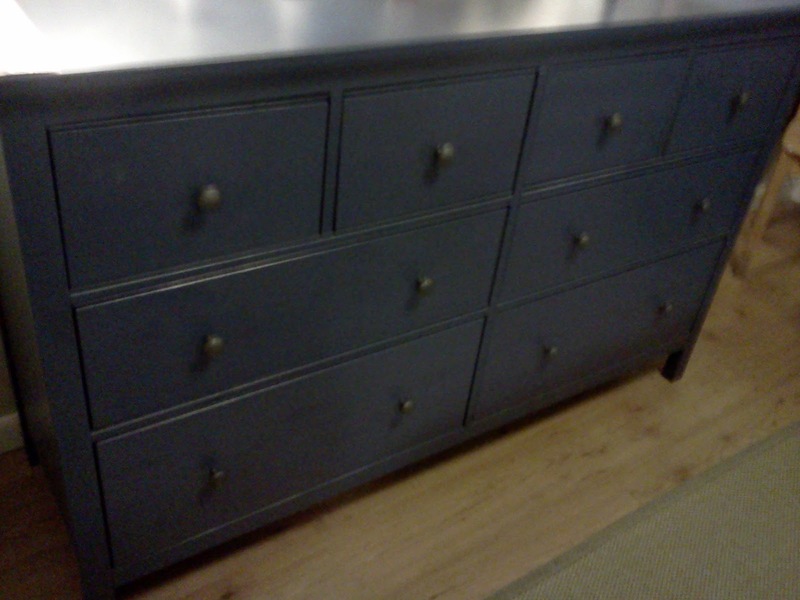 It is huge, but but would hold everything. 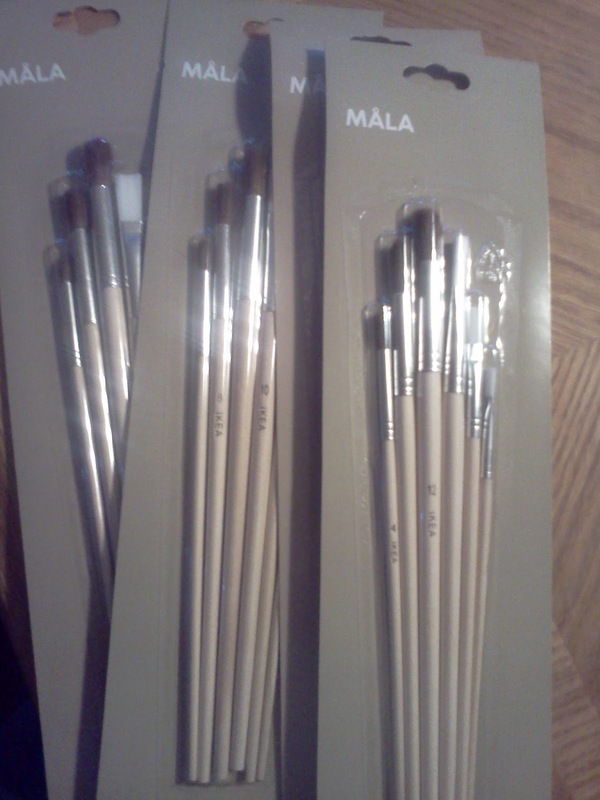 Finally something I was able to buy today.. The large Bygel bar is only $3.99, and fits perfectly in the craft room. 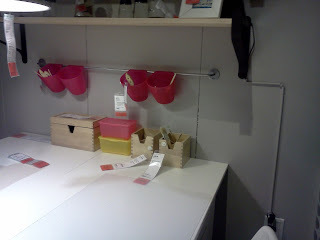 We also got 6 purple buckets to hang from it. You will see this again if I ever have the chance to finish the craft room. Loving this floating book ledge. 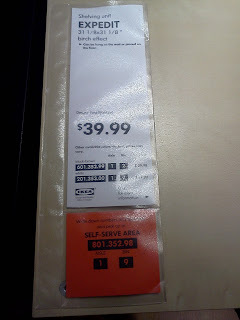 At $9.99 it is in the budget, but I have no idea where we would put it . 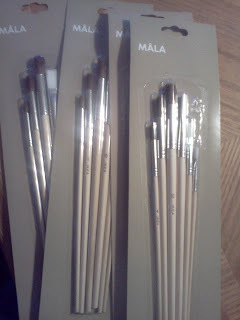 These paint brushes for only $1.99/5 are perfect for Kara's Art Party this summer. I may have to go back and get some more..
On the way out this billboard cracked me up. 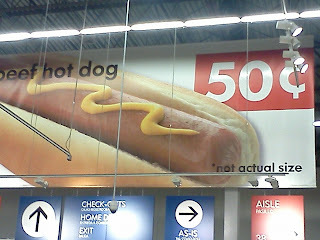 It actually says on the sign that the giant 10 foot hotdog is not actual size. 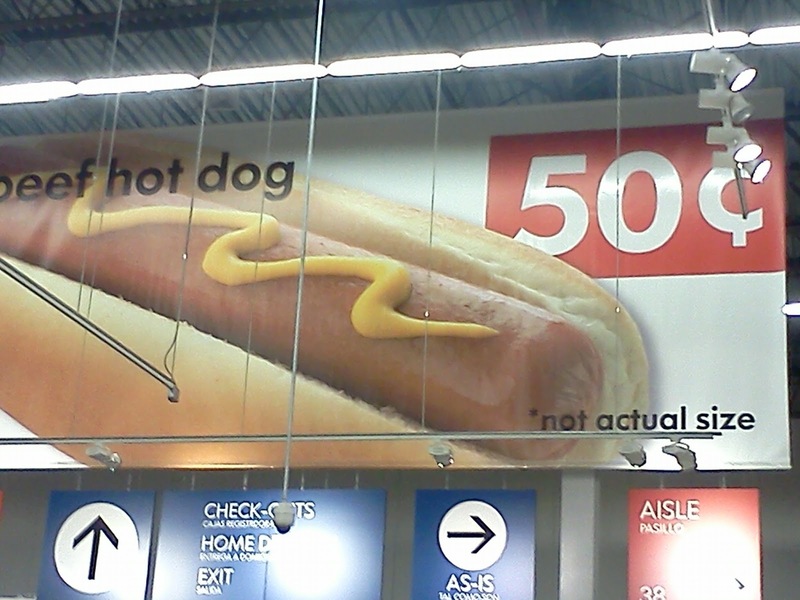 For 50 cents, I would certainly hope not! 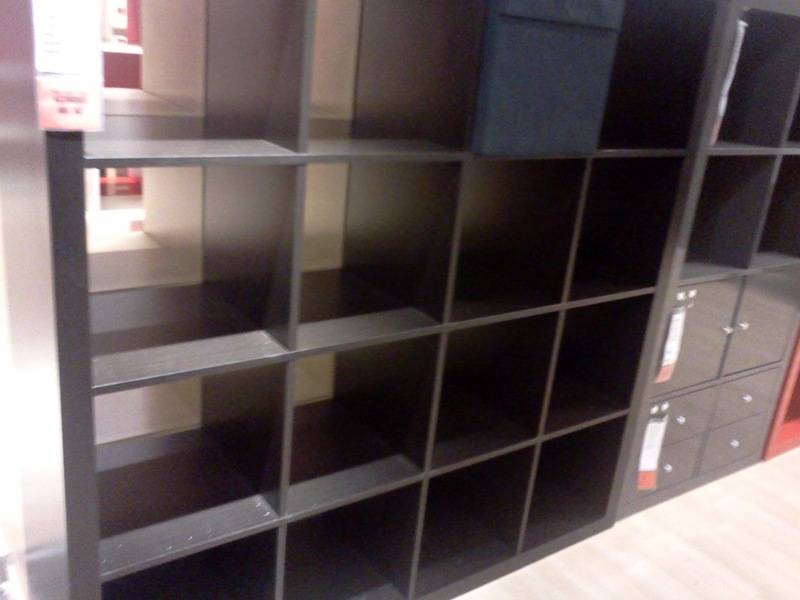 What IKEA items are you dreaming about? I love Ikea, except the crowds. I did my office/ craft room with Ikea furniture and just love it! 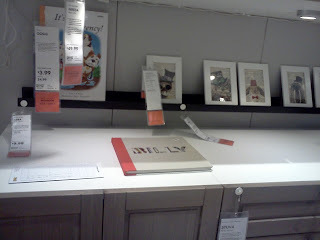 I need one of those floating shelves! !